In the image is a sketch of a lace bias cut top rendered in black lace over white! Next to it various body types. If I’m dealing directly in the store it is easy to gauge the customer and even fit the garment. I can observe coloring and select the best choices. My goal is to develop a technique to work with any customer anywhere in the world… regardless of where I am! What tools exist, can be adapted or will I need to develop. Even as we get set to launch TibiaeTech, I’m still exploring the full potential of what technology can do for a small creative business. This focus comes across directly after hurricane sandy as I saw businesses loose entire inventories! I am also recently become fascinated with a concept of a “digital nomad’ one who works from various corners of the world. Easy if you’re a writer, but how would someone who designs fashion, and specifically custom design make that shift! When a client or potential customer walks into a store or boutique a good sales person subtly maneuvers to discover their needs wants and desires, with a view to converting to a sale. In fact were we to leave well stocked shelves and a cash register the result would be similar to what currently happens online -Disappointments and chargebacks. The sales person intuitively puts the customer’s needs and desires “in context”. Context gives meaning… it changes the relationship. My first interaction with the concept of contextual web came in a 2008 article on Read Write in which “the key properties of the contextual web experience” were discussed. So why is context important even in Fashion ? How does one garner that information, retrieve and utilize it! In a one on one live setting, facial expression, subtle nuances are vital keys. When taking measurements a casual “joke’ that emits laughter… really forces the customer to relax and breathe out so more accurate numbers are taken. Leaving self-description up to individuals… often results far right or left of reality! Bad for fit… I’m leaning towards tele-presence but even then some adjustment is needed. I am assuming that practice and constant use will make it easier… we’ll see! For now I need to grapple with listing this as a product in the shop simple but still complicated..
Now to get consumers willing to explore! 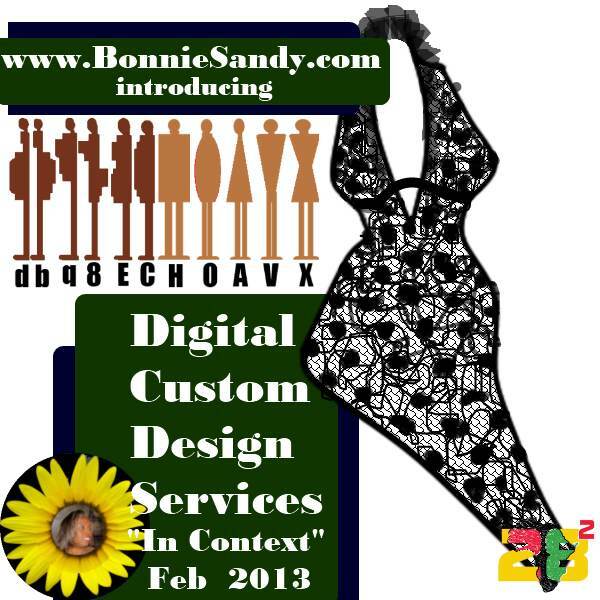 Posted in Latest and tagged Design Innovation, Digital Space, Product Development, What I Do.